This was an act of sacrilege. I love Arnold Schwarzenegger. I've probably spent an aggregate month of my life just watching Predator. Hell, I’ve probably spent a month just watching Predator on Telemundo. (Note: I don't speak Spanish). I can't help it. I grew up on this stuff. I'm a boy, and I like boy things. So when Omaze raffled off a tank ride with Arnold Schwarzenegger, I jumped at the chance. And while I didn't win the ride, I was awarded a personalized line reading by Arnold Schwarzenegger himself. In other words, I was going to get a video of the Governator saying "hasta la vista, Dave Cicirelli" or whatever else I chose. It was a thrilling prospect. But when I looked at the submission form, I noticed it wasn't a list of lines to choose from, like I assumed. It was just a blank box. And that's where the sacrilege began. Because, while Arnold may teach "crush your enemies, see them driven before you, and hear the lamentations of the women" as what's best in life—I know better. What's best in life is getting away with something really immature. You see, I'm an author and artist who specializes in hoaxes. You may have bought a Fake Banksy from me in Central Park, or you may have have seen on Facebook that I disappeared into Amish country under nefarious circumstances. 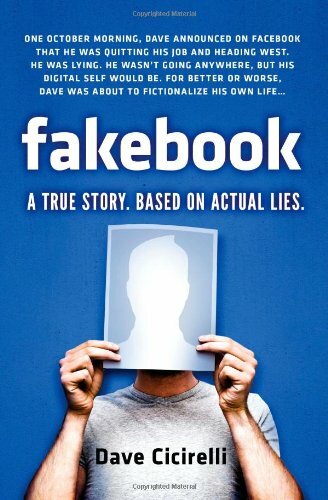 In fact, I wrote a whole book ( Fakebook: A True Story Based On Actual Lies) that recounts the six-months I fictionalized my Facebook page to my friends and family with an absurd story, and the off line complications it caused. So yeah...I like a little mischief. And taking my mind for mischief towards this blank form, I stopped seeing my prize as a line reading. I saw it as a moment in time—a chance to write a small piece of Arnold Schwarzenegger's future. I had to stay within reason, of course. Any suspicion from Arnold's team would end my game...but if I played it right I could make this something special. Something that would matter, not just to me, but to people like me—those who share my venn diagram of geek. And, after much deliberation, I landed on having the real Arnold Schwarzenegger perform The Simpson’s fake version of Arnold Schwarzenegger*. Hope you enjoy it! And if you do like this kind of tomfoolery, I'd love for you to check out the rest of my work. *To the fellow Simpson nerds, I know that this video references "McBain", but instead shows Reinier Wolfcastle rehearsing Radioactive Man. I know it's wrong, but the clips of Mendoza yelling "Mccain!" are just too funny to omit.